Did you know that Loudoun has a distillery now? It's true... the first legal distillery in Loudoun since prohibition! And, in keeping with the times, it's a certified organic product. 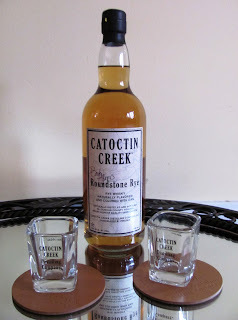 Catoctin Creek Distillery is located in Purcellville, VA. It's family owned and operated...and the "local" feel of this company really has the community pushing for their success. Available in Virginia ABC stores, and now available in Maryland, too, they currently have 3 products on the market... a rye whiskey, Roundstone Rye; a light whiskey, Mosby's Spirit, and a gin, Watershed Gin. They're aging some Brandy - a product made by partnering with local wineries - and we can't wait to until the holidays to see how it turns out! 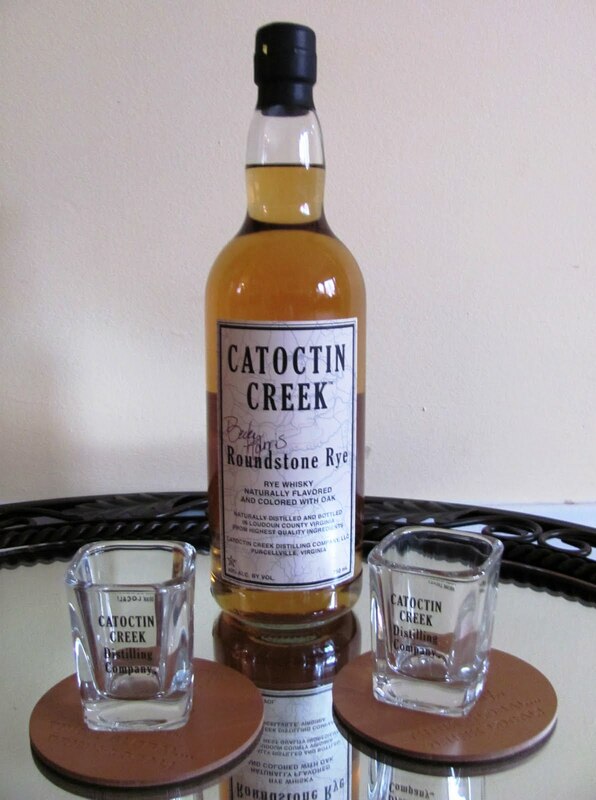 Many local restaurants boast menus featuring locally grown produce, meats from local farms, and local wines... and now, one by one, they are adding products from Catoctin Creek Distillery to their menus! The distillery uses local friends to help bottle the product, and volunteers are encouraged to sign their names to the labels. I happened to buy a bottle from their very first batch, one bottled and autographed by their teenage son. There's just something special about buying a bottle with a person's signature on it - perhaps even someone you know! You are encouraged to stop in for tours during the week, and from time to time they're open on the weekends, too. Bring in a bottle of the stuff you've picked up at the local ABC store and they'll even autograph it for you! Curious about the distilling process? CCD even offers distilling workshops where they will teach you their craft. Catoctin Creek Distillery offers shot glasses, Tshirts and other fun products... all available at their Purcellville location or online. Visit their web site to learn more and visit often for updates on this next up and coming Loudoun business!